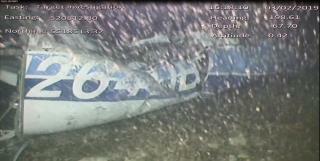 (Newser) – On Thursday it was announced a body had been recovered from the wreckage of the plane that had been carrying Emiliano Sala. Now, Dorset Police confirm: the body is that of the 28-year-old soccer star. The BBC details the timeline of the recovery efforts after the Jan. 21 plane crash, starting with the discovery of the wreckage in the English Channel on Sunday, followed by a body being spotted Monday and the retrieval of that body on Wednesday in "challenging conditions." The body was brought back to Portland in Dorset and identified there. This has been such a depressing story. First they wrote an article about his big contract. Next they wrote a story that his plane was missing. Finally they've retrieved his body. He was only twenty-eight. Won't the body rise on its own once the abdomen bloats?